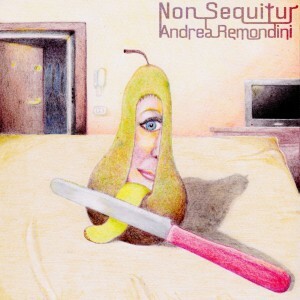 The story that Remondini tells on his forty-five minute composition, Non Sequitur, exceeds that told on the entirety of a lyric-heavy effort. The changes in styles from funk to synth-pop and classical styles may all occur in the space of five minutes, but Remondini links together these disparate styles in a compelling and sensible format. The segues that are present here are organic and fit in well with the story that the is attempting to tell. Each of the elements – synths, percussion, and bass elements – are as clear as crystal, while still having a warm and inviting style. Remondini’s latest album drops down on Thursday, May 29th; make sure to visit Andrea’s websites for a sample from Non Sequitur and for further information regarding his discography. Check the album out when it is released.